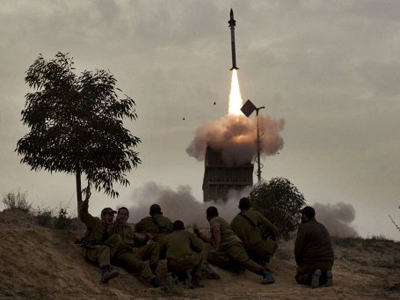 New Israeli invasion of Gaza looming? The Israeli military is ready for a major ground incursion into Gaza in response to attacks from the Palestinian territories. The shelling of Israel and retaliatory air strikes in the Gaza strip continue, despite an announced ceasefire. ­“The Israeli Defense Force (IDF) is prepared for any development, including a situation where we are forced to launch a ground operation,” IDF spokesman Brig. Gen. Yoav Mordechai told Army Radio on Monday night. “We have everything we need and are ready to step it up if needed. There are many measures that we haven’t employed yet,” he added. Earlier several Israeli politicians said a ground operation in Gaza was possible, including Prime Minister Benjamin Netanyahu. But others, including Minister of Strategic Affairs Moshe Yaalon, indicated such a scenario is unlikely. The news comes as the latest escalation of violence continues into its fifth day despite an Egypt-sponsored ceasefire announced on Monday. 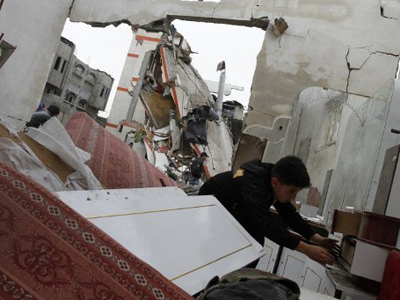 The ceasefire was broken as the Palestinians continued shelling overnight. The surge in hostilities started after the Israeli Air Force killed 15 Palestinians, including two leaders of the paramilitary group The Popular Resistance Committees. Israel said the air strikes were a preemptive attack against terrorists planning to shell Israeli territory. The Palestinians responded with firing some 200 rockets and mortar shells at Israel over the last several days, provoking retaliatory strikes. No casualties have been reported in Israel so far, although several buildings have been damaged and everyday life disrupted. 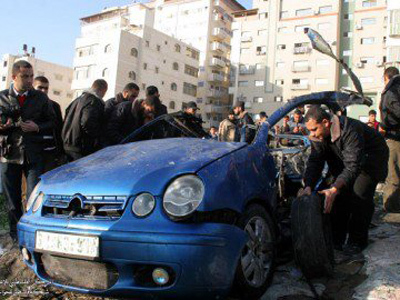 On the Palestinian side, at least 20 people have been reported killed and at least 70 injured. 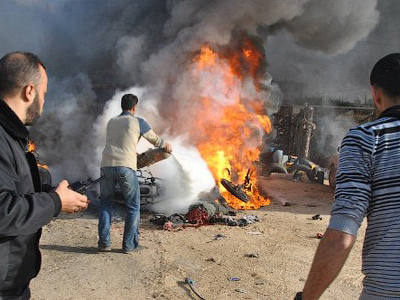 The Islamic Jihad group is behind the shelling and has pledged to escalate the conflict. The Palestinian radical movement Hamas said in a statement that it is not involved in the current attacks on Israel, but said it may throw its forces into the fray if Israeli counterattacks continue.